Tyre Size 28 X 1.5 "
We are one of the leading organisations, engaged in manufacturing, exporting and supplying excellent quality Rickshaw Tyre. Uses: Used to be installed in bicycle. OM CYCLE INDUSTRIES PVT LTD is among the prominent Bicycle Parts Manufacturers and Suppliers.We facilitate our National & Global clientele from our base in Meerut, Uttar Pradesh. We are one of the pioneer Manufacturers of Bicycle & Rickshaw Tyres of Both Nylon & Cotton , Jointed & Moulded Tubes made of Natural Rubber. 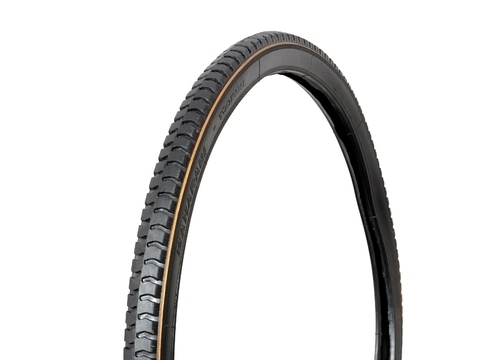 We have a Vast Variety of Black and Coloured Tyres & Tubes available in all sizes as per Market Demand.